Running community radio stations means making lots of decisions every day. Many are small and others have a lasting impact on the way stations are run for years to come. Informing these decisions with the best available information is a key to our sector’s strength. Research offers access to critical information in both station operations and governance. Knowing the listening interests of your audience leads to well informed programming, for example. As well as being able to use this to create a programming grid specifically tailored to a community’s needs, it also means being able to demonstrate this knowledge to our sector’s regulator, the Australian Communications and Media Authority (ACMA), as a means to show you are meeting regulatory requirements. On a governance level, being able to measure how you're meeting your organisational goals helps you make decisions in the best interests of your station. When looking at operations, station managers and directors are relied upon to make well-informed decisions about how to allocate (often limited) resources; will it be new equipment or additional recruitment and training this year? There’s not one type of research that can achieve all of these things. There are many options, and research providers keen to share them as well. Here, we look at two types of research of most use to community radio stations. Audience research tells us who is listening and how they are listening. It’s important for us not only to know how many people are tuning in, but their reasons for choosing your station and the demographic profile of your audience. Knowing what times of day your audience is strongest is great information to have when programming decisions are being made. Of course, this is also the data that potential sponsors want to get their hands on; spending on advertising is a commercial investment for them, and they want to have confidence that your community radio station is going to give them the best bang for their buck. They want to know exactly who they are going to reach. One variant of audience research is knowing your potential audience better. That is, knowing your whole community of interest and understanding what they want from radio broadcast services. Some of this data is available through the Australian Government Census figures, but more in depth information will rely on your own surveys. Understanding the operational capacity and broadcasting output of community radio stations is critical to knowing the best ways to invest government funding to support our sector, and knowing what sector-wide projects will best help stations thrive today and into the future. You might be most familiar with this type of research through the Community Broadcasting Census surveys run by the CBAA. It’s a big ask of community radio stations – often run by volunteers and always underresourced – to complete these surveys but the information returned is used by funding bodies, regulators and the government to understand our diverse and dispersed sector. The station census research covers programming, technology and facilities, and the financial health of community radio stations. An underutilised potential for this research is the ability to benchmark your own station against others in our sector, based on similar geography, communities of interest, financial resources and other factors. While there’s no “single fit” anywhere across community radio stations, information on where like-radio stations are at and how they approach the challenges of community broadcasting can provide great insights to community radio station directors. There are a number of ways that community radio stations can get the data they need, from running their own research projects to engaging experts to do it for them. The right option for your station will depend on what you are trying to find out and what resources you have available. The best advice is to be clear on what you want to use the data for, understand (or get advice) on the best research methods to provide the answers you need, skill up to make sure you make the best use of the research once you have it, and be realistic about what can be afforded within your station’s budget. 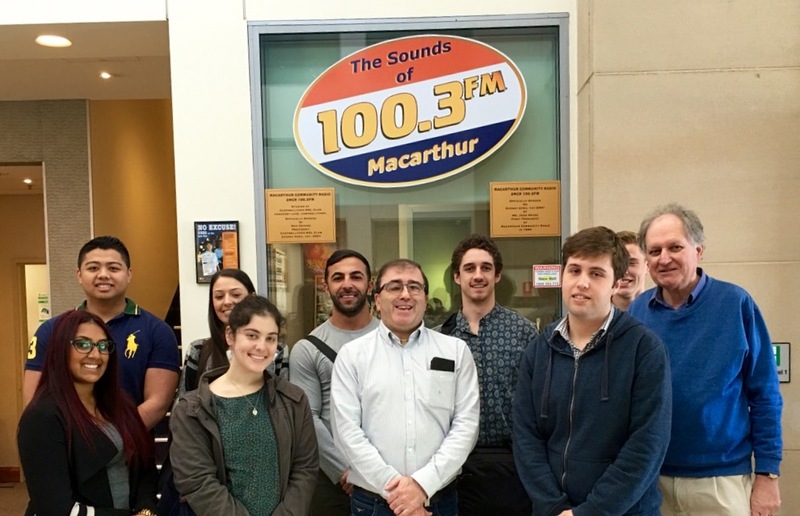 2MCR, the sub-metropolitan community radio station broadcasting in South-West Sydney, purchased a station report from the CBAA's National Listener Survey for the first time in 2016. Station President Rodney Simpson said that this was the first time the station had undertaken audience research like this. “The decision to purchase the NLS research was in part prompted by the ACMA asking us when we last surveyed our community. They wanted us to show them that we understood our community. “We also needed to go to businesses that are potential sponsors with credible information. Before, they would ask us how many listeners we’ve got, and we couldn’t give them anything that was credible. The research proved to be more useful than just for sponsorship opportunities. Rodney said that the report has proven valuable to the station. “When businesses want to spend their dollars on advertising, they want to know where they’ll get the best value. One of our existing sponsors told me that they pay many times our rate when they go to the commercial stations, but we have to show them how many listeners we have. This article was first published in CBX Magazine in April 2017. Community broadcasters together produce thousands of hours of radio weekly. So how do we know if anyone is listening? Where do we find new ways of reaching them?